This isn’t exactly the definitive guide. It’s important, first of all, to make sure you do read what Pinterest has to say (see Meet Pinterest). 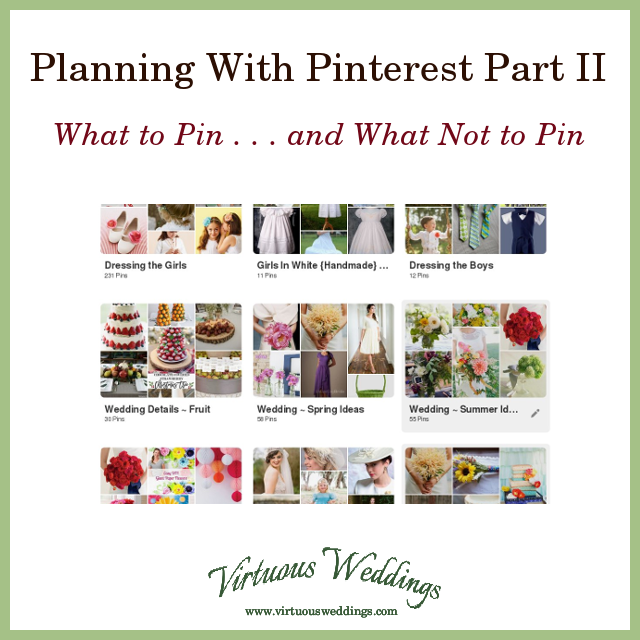 Other than that, here are some things I am aware of that you can use in determining whether or not to pin something—and how to pin it. Note: this is not legal advice, just in case anyone should ever quote me! You “repin” when you pin, to one of your own boards, a pin that already exists. Don’t repin pins that have been stolen. A stolen pin is a site’s image that someone is using to direct traffic from Pinterest to their own (or someone else’s) site by changing the pin link. Sometimes pins will have a link to a different site site for reasons other than theft. In most cases, however, it’s best not to repin a pin when the image and the url don’t match, even if you’re just pinning it for inspiration, because a lot of those pins are stolen or are due to tech errors where the image is completely disconnected from it’s original source (neither is good for the image owner or other Pinterest users!). How do you know? First check the image for a web address or site name and see if it matches the url. Also compare the image and the description. A lot of times stolen pins (or pins where technology hiccuped) are obvious, like a picture of a dessert that leads to an Etsy shop that definitely does not sell desserts. Sometimes pins that don’t match are more legitimate because someone pinned an image from a site that didn’t own the image but was featuring it on their site (sometimes that’s legal and ethical, sometimes it’s not ~ if you can track down the original publisher of the image through the link then you’re probably good (see #4). The average Pinterest user can’t be expected to know all of the ins and outs of legal and ethical image use!). You won’t know what’s up until you’ve clicked through, however, so when you’re pinning to a public (non-secret) board, check unclear pins right then so you don’t spread around problems. To check the url: you can sometimes just hover over the pin to view the url the pin goes to and determine it’s good that way (sometimes it’s not clear and you have to click through). Sometimes a pin for a blog post actually goes to the blog’s home page. In that case, you may be able to find the post and do an original pin from there (instead of repinning). Once you’ve come to trust a particular source (url), you don’t necessarily have to follow the link before you repin. Do however, hover over the image and check the url that pops up (mine pops up at the bottom of my browser) to make sure it’s going to the actual blog post or product page and not to a home or archives page, or worse, just an image. Those things aren’t helpful! Is the destination the “original” source of the image? That’s a little tricky, I know. Basically, you definitely don’t want to 1) pin a image that was was stolen or illegitimately used on that site from another site or source (can you track down the original or not? See #2), or 2) you ideally don’t want to pin an image that someone rightfully shared on their site from, say, a blog post on someone else’s site (the “best practice” in this case is to pin from the first, “original” use of the image . . . but, yeah, it gets complicated). Pin from the blog post itself, not from the home page or an archives page. Same for products. Pin from the original source. If, for example, you’re pinning an image you like in a “roundup” type blog post, the best practice is to follow the link to the blog post the image is from and pin from there. Also, definitely don’t pin images you don’t have reason to believe are owned by or rightfully used by the site owner. Does the website/the owner of the image want you to pin the image in question (or from their site at all)? How do you know? Well, do they have a pin it button? Note that if you have a Pinterest browser extension all images will have pin it buttons ~ look for the site owners pin it buttons. Do they encourage you to pin? Are they on Pinterest? Would you want this pinned (pictures of your children, for example?)? Check their policies, if there’s any question (or ask them). This is especially important for photographer’s websites. If they don’t have pin it buttons, find out what they want. Most images on the web are copyrighted and you need to respect the rights of the owners. And also respect people’s rights and privacy. Google images is not a source. If you want to pin (or repin) an image found on Google, go the website itself and pin from there. In my experience, Tumblr is not a source. That’s not to say it can’t be, I’ve just never had success finding the original. There are probably other places people pin from that are like these—that are either not a source or that require following a rabbit trail to find the source. You can find the original, I’m told. I’ve never tried it. 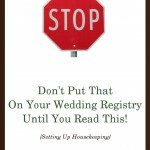 Don’t be scared of Pinterest (even though I may have made it sound scary! lol). Give it a try! Most website owners, bloggers, and merchants LOVE Pinterest and want you to pin their stuff.